This project was specially made for an oculist. The client wanted unique and simple design, with a tone of elegance in it. Containing 6 main pages and a lot of categories that are easy to edit with our custom CMS. It was a big challenge, because we had to put a lot of special effects and slideshows. The site is fully responsive on any devise without showing any errors. We tried our best to make it user and customer friendly, because that’s what we do, we keep our clients happy. The color was picked up by our client, as he wanted it the same as the logo he had. We smoothly embed the colors to design the perfect site. We used a lot of creativity as well, after all we wanted to make one of a kind design. Combined with the amazing skills of our programmer, everything turned into a masterpiece. Above you can see the link we provided, for better view of the site. 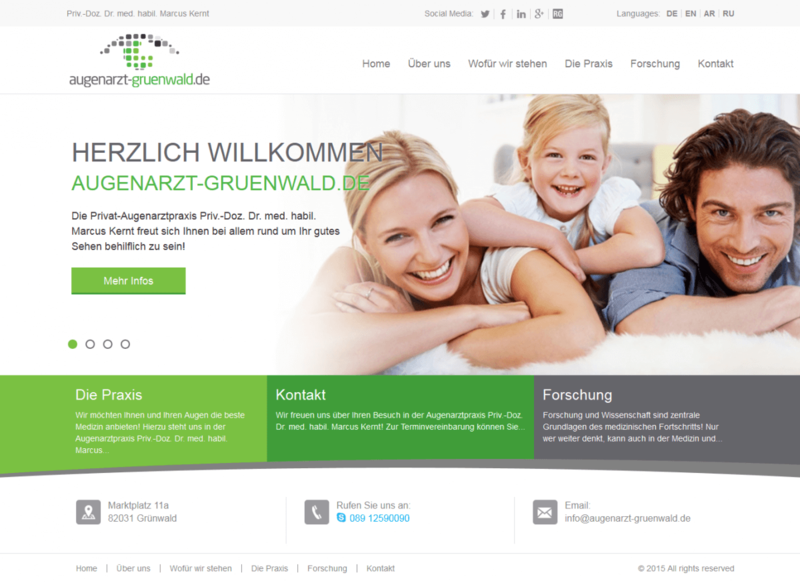 We can proudly say that this web site is one of our best, with a lot of functionality.